Xavier Sol is the director of Counter Balance, a coalition of NGOs that scrutinises development finance and international financial institutions. A leap year comes just twice in a decade, but the Southern Gas Corridor, the series of pipelines intended to feed Europe with gas from the Caspian Sea, is a once in a lifetime project. So maybe it is more than just coincidence that Azerbaijan – well versed in using the spotlight of international milestones to whitewash the crackdown on its citizens – chose 29 February to hold the second meeting of its Southern Gas Corridor Advisory Council and roll out the red carpet for a plethora of European ministers and presidents of development banks. A massive financial investment entailing serious environmental and geopolitical risks, the Southern Gas Corridor has nonetheless been labelled a ‘Project of Common Interest’ by the European Commission and afforded streamlined regulatory and financing status. The western portion of the route alone, known as the Trans-Adriatic Pipeline, is slated to receive €2 billion from the European Investment Bank (EIB), the largest loan by the EU bank in its 57-year history. Another loan of €1 billion for the eastern part of the corridor through Turkey, the Trans-Anatolian Pipeline (TANAP), is soon to be announced by the EIB. Intended as an alternative to reliance on Russian energy imports, the Southern Gas Corridor ties the EU to Azerbaijan – one of its most undesirable international partners – for decades to come. The November 2015 elections in Azerbaijan again confirmed the government’s lack of transparency and accountability, as the ruling party secured 91% of the vote. In its World Report 2015, Human Rights Watch blasted Azerbaijan over its human rights record during the rule of President Ilham Aliyev. The country has seen a crackdown on dissenting opinion through the arrest and imprisonment of journalists, lawyers, civil society representatives and opposition leaders, which has drawn the attention of the European Parliament, the Council of Europe and the Organisation for Security and Cooperation in Europe (OSCE). In December, the Council of Europe launched an investigation into Azerbaijan’s compliance with its commitments under the European Convention on Human Rights after “judgments from the European Court of Human Rights have highlighted an arbitrary application of the law in Azerbaijan, notably in order to silence critical voices and limit freedom of speech”. The unprecedented move was decided after Azerbaijan failed to meet even the minimal benchmarks the Council had set for it, leading the organisation to reconsider the country’s membership altogether. 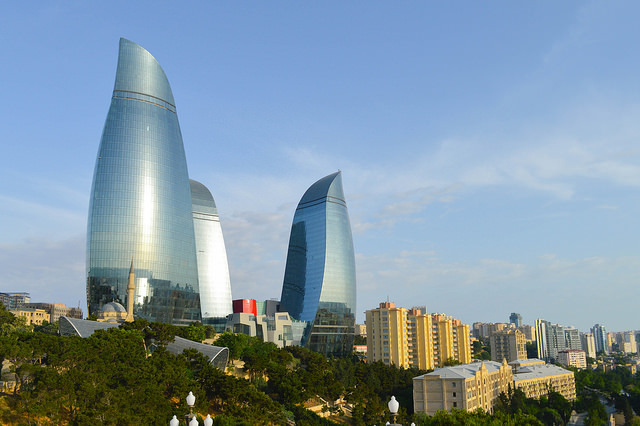 Prior to that, in September 2015, the European Parliament had raised the alarm about the worsening human rights situation in Azerbaijan. In its resolution, the Parliament found the latest imprisonment of human rights defenders unacceptable and called for the suspension of any kind of EU funding for the country. Azerbaijan’s relationship with the OSCE has since further deteriorated, after the OSCE refused for the first time in its history to send a delegation to the last elections, following President Aliyev’s opposition to a number of proposed representatives. And the situation in Azerbaijan is expected to become only more precarious, as oil prices plummet and the Aliyev regime continues to tap its diminishing reserves to address the economic crisis and quell more widespread discontent. That the deteriorating political situation in Azerbaijan has not been more thoroughly addressed by the EU also reflects a failure of the European Neighbourhood Policy, which has until now turned a blind eye to Aliyev’s offences, his lack of willingness for meaningful political and economic reforms and his desire to cement political and economic privileges for his family and allies. It is in the EU’s interest to have a democratic Azerbaijan that respects the rule of law as a neighbour; but the Southern Gas Corridor will not help to achieve this. On the contrary, the project will strengthen the status quo, in exchange for which the EU might well receive just another song contest or sporting event. A project of the Southern Gas Corridor’s stature is indeed a once-in-a-lifetime deal, and it is one that Europe’s leaders should consider passing up on as they head back to their capitals after the meeting in Baku. As warned by the European Parliament itself, the geopolitical significance of the Union’s actions inside and outside its borders cannot be underestimated, especially when human lives and freedoms are at stake. At the author seems to be their benefits. How can you write such a nonsense. And I invite the author into Azerbaijan. For he came here and saw a with their own eyes democracy. Do not believe every story on paper. Europe needs Azerbaijan and its natural resources.